Circle Mirror Transformation, written by Annie Baker, is a beautifully crafted script that landed itself, with hilarious detail and clarity, on Top Ten lists of The New York Times and The New Yorker for 2010. “Annie Baker’s play is an absolute feast. Circle Mirror Transformation is the kind of unheralded gem that sends people into the streets babbling and bright-eyed with the desire to spread the word. 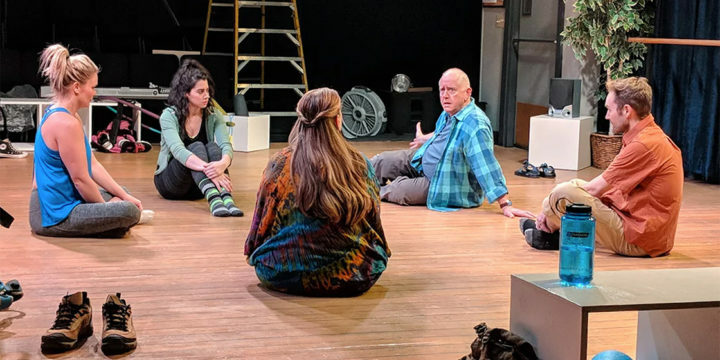 The play traces the lives of a handful of small-town Vermont residents who gather each week for an acting class taught at the local community center. By the play’s end we seem to see to the very bottom of these souls, and feel how the artificial intimacy of the acting class has shaped their lives in substantial ways.” — NY Times. 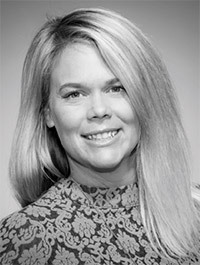 BONI MCINTYRE (Marty) received her Masters degree in Vocal Performance from the University of Northern Colorado. 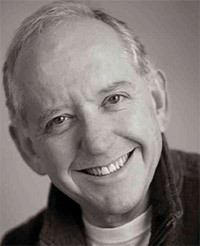 Credits include lead roles in 1776, Macbeth, Amahl and the Night Visitors, Into the Woods, The Little Foxes, Best Little Whorehouse in Texas and The Rainmaker. Regional credits include Blithe Spirit with the Arvada Center. Recent favorite performances feature Master Class with Miners Alley Playhouse and Sweeney Todd with Ignite Theater. She has enjoyed music directing and arranging for Three Penny Opera, Midsummer Night’s Dream and O. Henry Christmas. 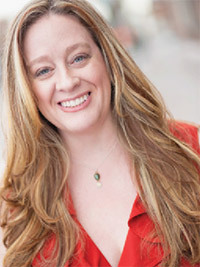 She is the recipient of Henry and Ovation award nominations and has received two Marlowe Awards, most recently as Best Actress in a Musical for Sweeney Todd. IVY KING was born in Denver, Colorado, and was raised in Pagosa Springs, Colorado, from the age of 7. She graduated from Pagosa Springs High School in 1997. 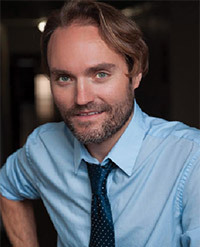 After attending and graduating from the American Academy of Dramatic Arts, in Los Angeles, California, Ivy studied with noted acting coach Diana Stevenson at LA Atelier, studied improvisational comedy at The Groundlings School in Los Angeles and is a founding member of the coveted Actor’s Society. She is best known for her intensive work on a water cooler commercial for dehydrated youth of South Korea. Following her education, Ivy acted in the film industry, modeled in print, and began working as a visual artist, displaying her collages in gallery exhibitions. You can now find Ivy across the road using her skills as an actor, selling real estate for Jann C Pitcher. KATHLEEN MACARI (Lauren/CMT) is so excited to return to the Thingamajig stage for the Winter Season! She was last seen here in the Summer 2017 Season in all four of the shows. 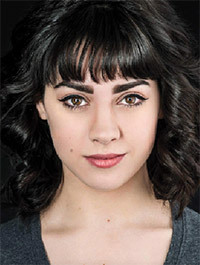 Other recent credits include Sonya in Godspell (Lancaster Opera House), Constanze in Amadeus (Kleinhans Music Hall/Irish Classical Theatre), and Catherine in The Foreigner (Thin Air Theatre Company). She thanks her family and friends for their constant love and support, and hopes you enjoy the show!